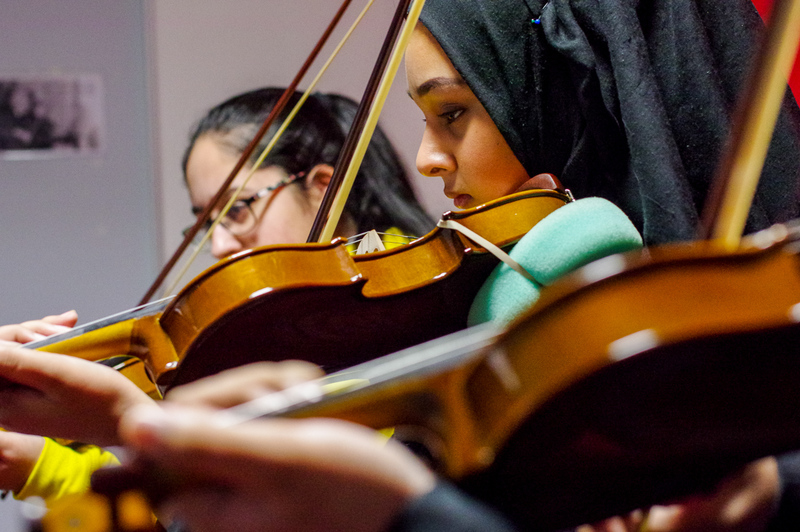 From whole class to group lessons to individual one to one tuition, schools can access specialist instrumental and vocal teaching which best meets the needs of their pupils. Lancashire Music Service is the main provider of instrumental and vocal tuition in schools across the county and they also offer schools buying in teaching free access to award-winning: Charanga Musical School and Charanga VIP Studio Sessions. We offer your students the chance to learn woodwind, brass, strings, guitar, ukulele, singing, percussion, drums, keyboard and piano* with our experienced and inspiring teachers. A highly-successful and practical approach which reflects and builds upon your students existing passion for music for Key Stage 3. A one-term recorder programme to introduce young children to instrumental learning. Recorder World is designed to be taught by classroom teachers using an easy-to-use, week-by-week online Charanga resource with optional online access for the children.